Produce Industry | Pacific Customs Brokers Inc.
Service failures and delays for produce imports? Pacific Customs Brokers will use our 50 years of focused expertise in the Produce Industry to work with your company to reduce service delays at all border ports, airports and seaports. Electronic Data Entry (EDI) and software based solutions to reduce data input delays and errors. Educate suppliers through site-visits, seminar invitations and daily communications. 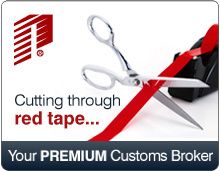 Work with carriers to assist in expediting the customs release process. ALWAYS OPEN with Certified Customs Operational Staff on duty in both Canada and the U.S.A. with specific produce expertise. Call us to discuss your service requirerments.